In 1880, our firearms story had begun in a small shotgun atelier which was destined to become one of the World’s biggest manufacturing plants of firearms. •Having ruled by the fifth-generation today, Sarsılmaz is a well-established manufacturer of small arms with an enviable reputation worldwide. •Our brand new machinery park, equipped by the latest examples of CNC equipment, including eleven-axis mills and robotic equipment, proved to be a showcase of modern manufacturing. Continuous investment in R&D, technological equipment and growing product lines, resulted in the company’s ability to produce top of the line pistols and shotguns for customers in 78 countries. 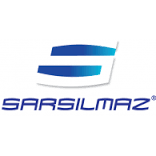 •Sarsılmaz is the only privately owned company in Turkey that has the capability of producing guns for law enforcement, military and civil use. Considering that Turkey has the second largest army in NATO, we take pride of being the sole official pistol supplier of the Turkish National Police and the Turkish Armed Forces. •Since 2013 we became a competitive actor in aviation industry as well. In a short while, more than 100 aviation companents were produced for AIRBUS MILITARY, Sikorsky, BOEING, Agusta Westland, in co-operation with TAI-Turkish Airforce Industries, Roketsan and TEI –Turkish Engine Industries. Thus Sarsilmaz become one of the biggest subcontractors in the sector.